The weather’s warming up (finally!) and with the sunshine comes unwanted pests like insects and rodents. As these creatures venture out of their hibernation nests and start exploring, they’ll sometimes make their way into your home. What’s a healthy mom to do? Well, you don’t want them bringing germs into your home, but using poisons to keep them away can harmful to children and small pets. Fortunately, there are safer and more natural ways to keep your house free of pests. There are ways to keep pests away without dangerous poisons. 1. Keep it clean. 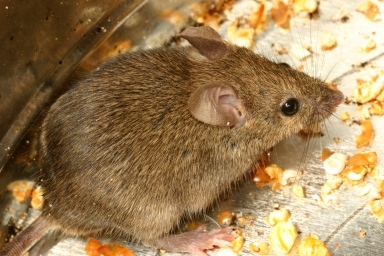 Bugs and rodents usually make their way inside for two reasons: to stay dry and to find food. Keeping your home clean, particularly in the kitchen, removes one of those incentives. 2. Seal holes. If mice and insects are finding their way in, find out where and seal those holes up tight. Common places include areas around doors and windows, especially in basements and garages that tend to be more neglected. 3. Deter with peppermint. Mice and many unwanted insects dislike the smell of peppermint. Spray a solution of peppermint extract or essential oil and water around windows, doors, the foundation of your home, and any problem areas. Planting peppermint in your yard can also help! 4. Use sound. You can buy devices that emit a high frequency sound that keeps away bugs and rodents! Mice and bugs aren’t just annoying – they can carry harmful germs and illnesses into your home! Keep them away with these natural methods. This entry was posted in Dr. Doormat Blog and tagged clean home, germs, keep pests away on April 22, 2014 by debbiedrdoormat. Spring is technically here – even though it doesn’t seem like it yet for everyone! Purging the winter dust and clutter makes home feel so much more energizing and inviting. That’s why spring cleaning is such a popular notion – the mess and dirt can really build up after a long winter cooped up inside! 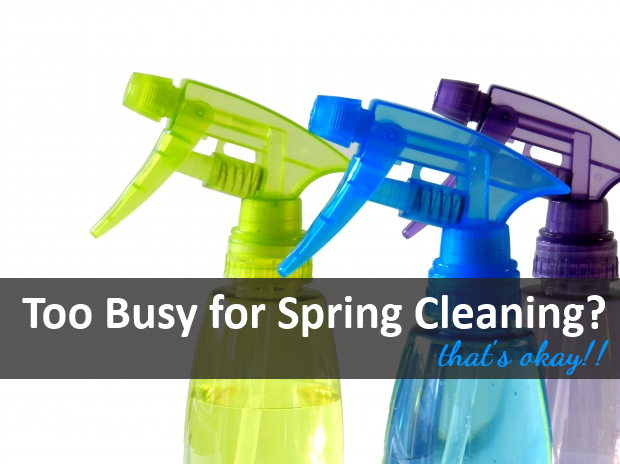 You don’t have to tackle your whole house to reap the benefits of spring cleaning! But what about those of us who simply don’t have time to scrub our house from top to bottom this Spring? Fortunately, you can break the spring cleaning process down into manageable chunks to get it done – even if you have a busy lifestyle. One room at a time. Don’t try to get your whole home done at once – just take it one room at a time. Start with your most lived-in rooms; you’ll appreciate the results so much more. The kitchen, for example, is a great place to start. Follow the same process for each room. You’ll get into a “groove” and work much more efficiently if you follow the same routine each time. For example: purge clutter (to trash and to donate), organize what’s left, and clean from top to bottom. Update your decor. Add fresh flowers and other “Spring” touches to freshen up the way your home looks and feels. 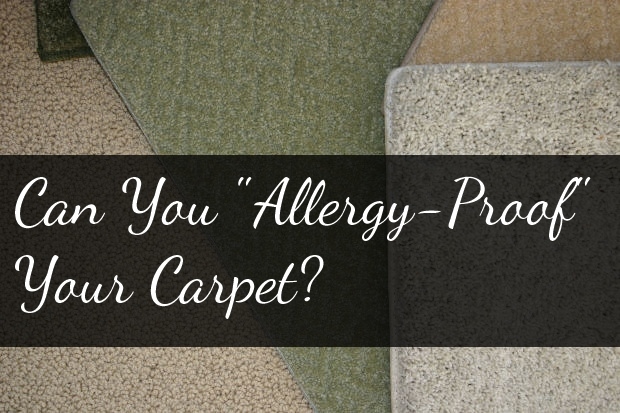 Clean the window treatments. If you can’t get to all the “extra” jobs in a room, at least do this! It will really make a difference when you start opening up the windows as it warms up. Tackle fix-it projects. As you have time, tackle any little projects you’ve been putting off all winter. Any broken door latches, handles, etc. getting fixed will be appreciated far more than a squeaky-clean floor under the fridge. If you’re too busy to tackle the whole house this Spring, don’t worry. Just focus on the tasks that you and your family will notice and appreciate the most. This entry was posted in Cleaning, Dr. Doormat Blog and tagged spring cleaning on April 16, 2014 by debbiedrdoormat. 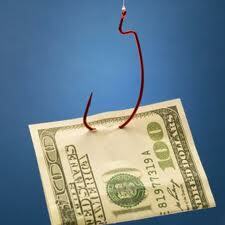 Beware of The Bait & Switch On-Line! In keeping with my theme of how to protect the ones we love, I wanted to share a recent experience. I typically write about home environmental issues but this is about protecting yourself financially when planning a trip. The hotel reservation agent is trained to assist you. Ever try to book a hotel reservation on line? Years ago when you wanted to make a reservation, you called the hotel directly, the 800# for the hotel company or your travel agent. Today it’s far more confusing with many listings of hotels on the Internet and many services claiming to offer the best deal to book your room. Last May I searched the Internet for a Marriott Courtyard near Westchester, PA. I was attending a training class and needed one overnight stay. I went on-line for the hotel phone # and called directly since I had several questions. When I searched for the hotel many hotels popped up in Philly and Exton, PA, and many listings, making this simple task very confusing. I tried to carefully look for the Marriott name in the URL, which is the search name or store sign that would lead me to the correct place. It was late, 6pm already and a person answered, quickly put me on hold, and then my call was rolled over to a reservation center. I thought perhaps the hotel was too busy to take my call and automatically connected me to the Marriott reservation center. The agent answered the phone “Reservations, can I help you?” I told her I wanted to book the Marriott Courtyard in Westchester, PA and asked if this was Marriott. She replied, “I can book your Marriott room for you.” Then I was told she had a Marriott in Exton, PA and could go ahead and book it. I told her I saw a Fairfield Inn by Marriott listed in Exton but I only wanted a Courtyard by Marriott. I asked a few questions regarding the distance to my meeting etc. and then told her I may wait and book it after dinner. It was late, I was debating to leave very early in the morning or drive the 2 ½ hours that night. I still wanted to have dinner with my kids and then I would decide if I still had the strength, I was exhausted. The agent became aggressive and explained there must be something going on in the area because there were only 3 rooms left. I should really book the room now. It all went down hill from there. Hotels.com is eager to take your money and has little regard for how and where you sleep. 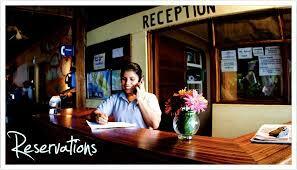 The reservation agent was not Marriott Worldwide reservations but Hotels.com. The bait and switch. The agent was persuasive and pushed me into making the reservation making me feel I may not get a room and I should book it now. There were in fact many rooms available that night. Although the room was being booked after 6pm and I called 1 ½ hours later to cancel, it was considered non-refundable since any reservation cancelled after 6pm would be charged. When the email confirmation showed up on my cell phone it was a Fairfield Inn by Marriott not a Marriott Courtyard. I did go ahead and have dinner with my kids and realized as I was driving up the highway, I was too tired. I pulled over and called the Fairfield Inn of Exton, PA direct. The hotel explained that it was booked by a 3rd party reservation company and they couldn’t do anything about it. They are charged by Hotel.com and can’t refund the money. When I contacted Hotel.com they directed me to an email address where I could send my complaint. Hotels.com responded by telling me it was cancelled after 6pm and I would have to contact the hotel to have my money refunded. Each of them pointed a finger at the other. information about rates and restrictions. It may not be fraud, but it’s absolutely consumer deception. In the future when you book reservations be sure you know who you are talking to and it’s always safer to book with the hotel company directly. This entry was posted in Dr. Doormat Blog, Office and tagged hotels, protecting your family, reservations on April 3, 2014 by debbiedrdoormat. 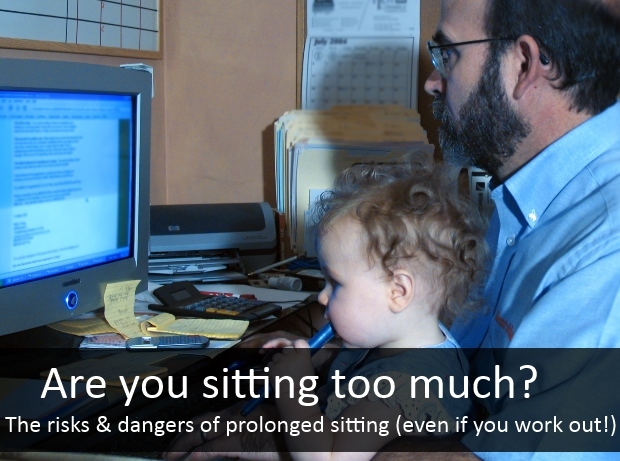 Sitting Too Much – Is Your Health At Risk? We all know that exercise is an important part of any healthy lifestyle. But new evidence is showing that what you do outside of your allotted “workout time” during the rest of the day has just as much of an impact on your health. Sitting too much, researchers say, is linked to earlier death, increased risk of bone fracture, and heart disease. It’s incredibly easy to live a lifestyle with too much “down-time” in this day and age – even when you work really hard. 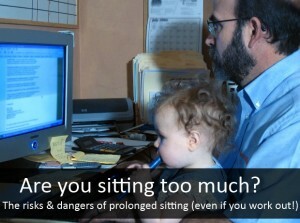 With so many of today’s jobs involving sitting at a computer and favorite leisure activities including TV, movies and gaming, sitting can easily take up a majority of the day. Prolonged sitting increases your risk of several health issues – even if you work out regularly. Ride your bike or walk instead of riding in a vehicle whenever possible. Stand while working on the computer. There’s no rule that says you have to sit at a desk! Work at a “standing desk” or elevated table while you stand. Position your monitor at eye level, especially when working for longer periods of time, to prevent neck and back strain caused by turning your head down. Use a treadmill desk. Walking while you work or surf the web – it doesn’t get much healthier than that! Take short walks and standing “breaks” during the day if you work at a desk. One of the worst aspects of sitting all day is when it’s prolonged – get up and move around every so often – each hour would be great. Combine fun and fitness. Find ways to unwind at the end of the day other than watching TV – at least a few times a week. Do a stand-up activity with your family, like a walk around the neighborhood or a game of charades. Stand up while you’re on the phone. Drink more water! It’s great for your body, and forces you to get up and take more of those quick bathroom trips throughout the day. This entry was posted in Dr. Doormat Blog, healthy family and tagged sitting too much on March 18, 2014 by debbiedrdoormat. 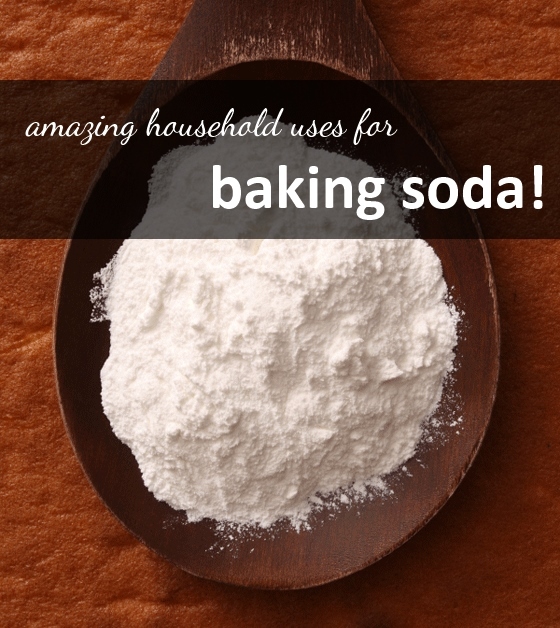 You can find baking soda in pretty much any home, but it’s often highly underused! There are endless household uses for baking soda. Plus – it’s very inexpensive and all natural. Baking soda has endless uses around the home. Sprinkle about 1/2 cup in your garbage cans to absorb odors. Use an an abrasive scrub to shine your sink and stainless steel appliances. Add baking soda to the litter box to curb odors. Wash your fruits and vegetables with a solution made from 1 part baking soda, 5 parts water. Use baking soda as an abrasive scrub to remove toilet stains. Add a scoop to your laundry to boost the power of your detergent. Scrub pots and pans with baking soda and vinegar. Make a solution of baking soda and water, then run it through your coffee maker to clean it. Clean baby bottles with baking soda and water. Use baking soda to clean your barbecue. Clean your oven with baking soda. To clear drains: pour 1/2 cup of baking soda down the drain, followed by 1/2 cup vinegar. Let the mixture “fizz” for a few moments, then flush with hot water. Sprinkle a small amount of baking soda into shoes to curb odors. Make your own air freshener by combining 1 teaspoon of baking soda, 1 cup of warm water, and 10 drops of your favorite essential oil. Store in a spray bottle and shake well! You’ll find that you can replace many of your store-bought cleaning products when you start utilizing baking soda around the home. Good riddance! It’s much healthier and a lot easier on the wallet, too. This entry was posted in Cleaning, Dr. Doormat Blog on March 14, 2014 by debbiedrdoormat. Here on the blog, I talk about ways to protect the ones you love. This means keeping your family safe and healthy – including in the relationships they have with others. Knowing the signs of teen dating violence will help you keep your loved ones safe. Teens who are victims of dating violence are more likely to be depressed and do poorly in school. They are more likely to engage in harmful behaviors, such as drug and alcohol use. They are more likely to develop eating disorders. Violence is not just physical. 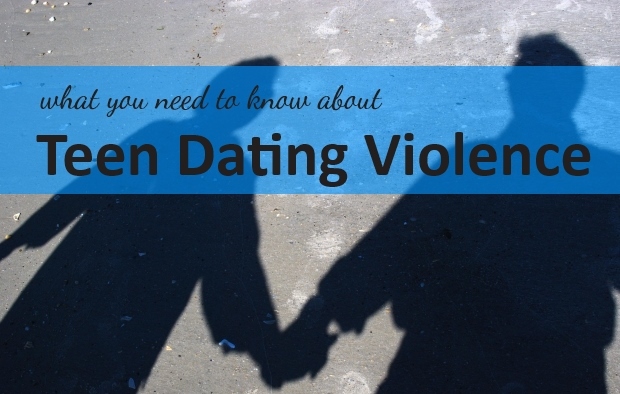 Teen dating violence also refers to emotional abuse and stalking. Dating violence often starts with emotional abuse such as name calling and belittling, which lowers the victim’s self-esteem. Abusers will make their victim feel worthless and like they are lucky to be in the relationship. Lack of parental supervision, warmth and consistent discipline are all factors in teens who become abusers. Protect your teens by knowing their friends and watching for signs of abuse, like depression and lowered self-esteem. Encourage your teens to spend time with their friends in your home so that you can get to know them. Visit LoveIsRespect.org for resources regarding dating violence, too. It’s all about protecting the ones you love! This entry was posted in Dr. Doormat Blog, healthy family and tagged teen dating violence on February 28, 2014 by debbiedrdoormat. 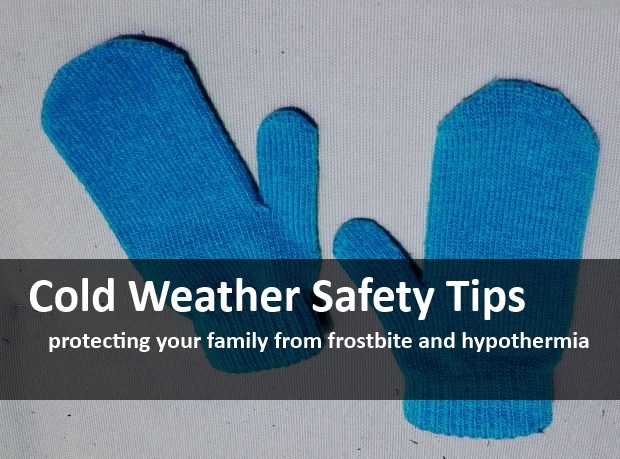 Severe cold weather isn’t just uncomfortable – it can also be extremely dangerous. Frostbite and hypothermia are two serious risks that come when exposed to the cold. Frostbite occurs when circulation drops to the point of the outer limbs freezing. This is a survival mechanism – in order to preserve the inner organs, the body tries to keep only the core warm, so less blood is pumped to the arms and legs. The most outer extremities are most at risk: the feet, hands, and nose. That’s why it’s so important to keep them warm! Hypothermia occurs when the body’s core temperature drops below 96 degrees – left too long, it can lead to death. Wear mittens, a hat, and thick socks to keep your extremities nice and warm. Dress in layers and wear a hat, mittens or gloves, and thick socks and boots when venturing out into the cold. Sometimes you can get glove liners for the inside of the mittens. Avoid prolonged exposure to the cold. Ask your doctor if any of your medications increase your risk of hypothermia. Keep your home warm and be sure to have an adequate supply of fuel or wood if you need them to heat your home. Learn to recognize hypothermia: see your doctor immediately if your temperature drops below 96 degrees or you feel sluggish and cloudy-headed. Learn to recognize frostbite: according to WebMD, there are 3 degrees of frostbite. Frostnip, which usually affects the face, ears, or fingertips. While the skin may feel numb, frostnip does not lead to permanent tissue damage. Superficial frostbite, in which the outer skin is affected. Deep frostbite, in which the skin and underlying tissue freezes. Permanent damage is possible, depending on how long and how deeply the tissue is frozen. Treat frostnip with warm (not hot) water and by warming the body gradually. See a doctor immediately for more severe frostbite. Staying warm isn’t just about being comfortable – your body needs to maintain a normal temperature to stay alive! Be aware of the risks, and teach your kids to recognize when it’s time to come inside, too. 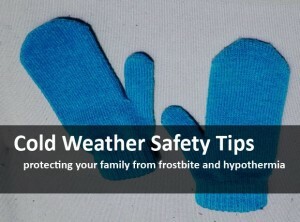 This entry was posted in Dr. Doormat Blog, healthy family and tagged cold weather safety, cold weather safety tips, prevent frostbite, prevent hypothermia on February 17, 2014 by debbiedrdoormat. 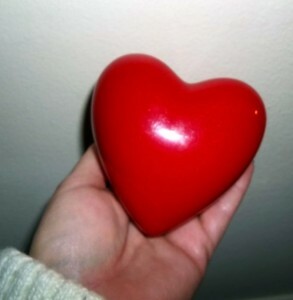 Valentine’s Day is coming up FAST – have you gotten a gift for the one you love yet? If you’re still searching for ideas, consider some of these romantic – and healthy - Valentine’s Day gifts! Dark chocolate. While milk chocolate is loaded with excess fat and sugar, dark chocolate is on the healthier side. It’s lower in sugar and loaded with minerals and antioxidants. A weekend away. Plan a romantic getaway over the weekend – preferably somewhere warm! Studies show that those who travel actually live longer. Couple’s massage. An aromatherapy massage in particular has many benefits, including reduced stress, a heightened immune system, and balanced hormones. Plus – who doesn’t love a good massage? Fresh fruit is a lovely “sweet” alternative to candy on Valentine’s Day. You can even get fresh fruit baskets now that are really beautifully arranged to make it even more special! Sending Valentines to school with the kids? Consider skipping the candy (they’ll be overloaded with it, anyway!) and making homemade jewelry or sending small items like pencils or other decorative school supplies. They’ll last longer, too! This entry was posted in Dr. Doormat Blog and tagged healthy valentines, healthy valentines day gifts on February 10, 2014 by debbiedrdoormat.